Having a dependable reel does not just make your visit to the lakeside town enjoyable, but it is a guarantee of greater return on the money you have invested. The right fishing gear should combine speed, good price, and strength. 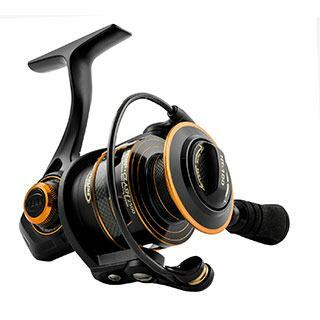 So far, there is no other reel out there which is strong, affordable, and fast enough to make your fishing expedition enjoyable like the Penn Fathom Lever Drag 2 Speed Reel. The tool guarantees both strength and speed. It is a small smooth reel with the power and ability to make your experience in high seas memorable. Penn Fathom Lever Drag 2 Speed Reel is tough and fast. The tool has perfect gears that guarantee the strength and the speed any angler would require when battling it out with a big predator. 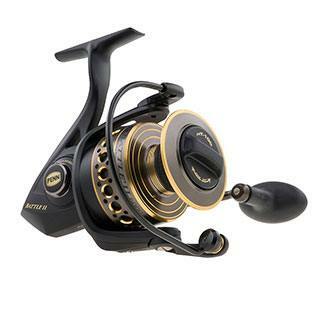 The reel is 100 percent metal, comes with a forged and machined aluminum spool and side plates. It is fitted with Dura-Drug ™ washers whose job is to eliminate hesitation. The washer has been tested and found to perform well even when they are under very difficult circumstances. The reel is tough and features rich: double dog ratchet anti-reverse, quick-shift ™ 2speed system and line capacity rings. Penn Fathom Lever Drag 2 Speed is a full metal and side plate reel that is not just reliable but durable as well. It is made of aluminum, which is stronger, less flex, more durable and allows all the moving parts to stay aligned. Note that the metallic parts are susceptible to rusting, but when they are billet or forged they become more resistant. The reel’s gears are machined and drilled to give it the strength and reduce the reel’s weight. It gives it a smoother and a powerful drag and at the same time enables the system to create an adjustable lever drag which allows the angler to manage a 20lb. of the drag after activating a push in button. The stainless steel gears are all drilled to reduce their weight so that they can offer both speed and strength. The Dura-Drag washers are pretreated with a material that contains a phenolic bonding agent that prevents the breakdown of carbon fiber material and at the same time provides a barrier to water. 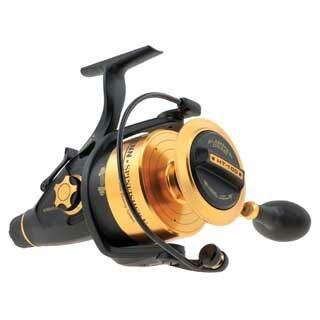 The Penn Fathom Lever Drag 2 Speed comes with 5 ball bearings, which gives the reel a smoother action. 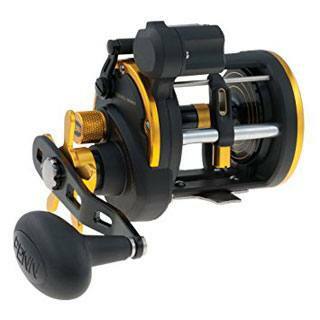 The shielded stainless steel bearings are engineered to higher standards to make the reel sturdy and durable. The rings are corrosion resistant and thus ensure a reliable and smooth flow if they are well maintained. Also, these rings were designed to perform optimally in a marine environment. They are all made of high-grade stainless steel to ensure that they perform better than the non-shielded bearings. 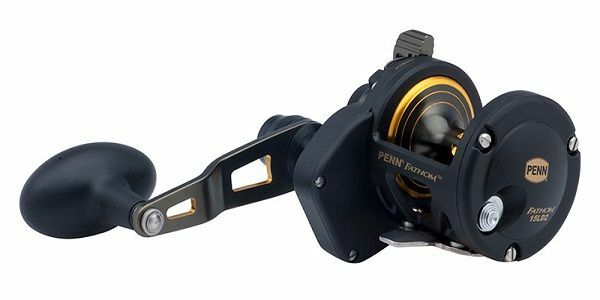 The Penn Fathom Lever Drag 2 Speed Reel comes with a double-dog anti-reverse bearing, whose job is to prevent handle slope. They use the ratchet (a mechanism that provides anti-reverse) to ensure that there is no jiggle play and that the handle does not go back. The double dog acts as a backup and helps to eliminate back play in the spool. It makes the reel stable, efficient and the angler will not worry even when faced with a big lure. 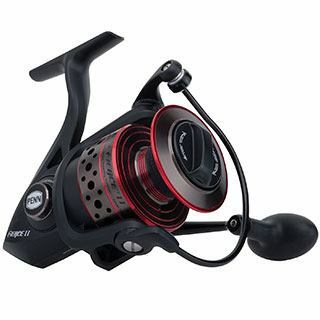 Penn Fathom Lever Drag 2 Speed Reel comes with a pinion gear and stainless steel main. The gear size and the material used to manufacture it are important factors that determine its longevity. Gear material range from stainless, zinc, brass to aluminum. However, for durability and maximum strength, stainless steel pinion and drive gears are used. Penn uses stainless in all their conventional lever drag reels. In fact, they heat-treat the pinion gears to increase its hardness and ensure that it remains sturdy. It is important to note that this tool is the best among the inexpensive reels on the market. The Penn Fathom Lever Drag 2 Speed Reel is smooth especially when it comes to retrieving and can be cast over a long distance. It is a greet reel for your money and can efficiently handle anything ranging from the small tuna to striped bass.